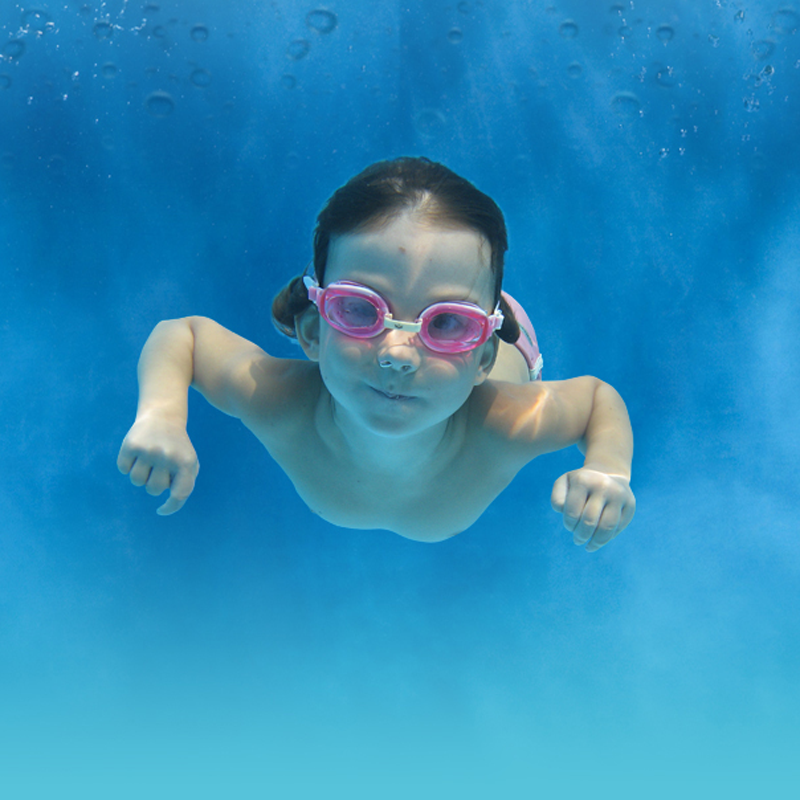 At Swimstars we offer lessons for children aged from 2 – 11 years old. For children aged from 2-4 years old we run our Splashers programme where an adult joins them in the water to support them through the activities. Once a child has turned 4 year of age they can join the main swimstars programme where they will swim on their own, either with or without floats depending on their ability and confidence, in small groups with a maximum of 4 little swimmers to each teacher. Swimstars classes run at our Inkerman, Stocksbridge and Norfolk park pools and we have lots of levels from beginners through to early coaching sessions. Swimstars is available at Inkerman House, Stocksbridge Leisure Centre where lessons run Monday to Saturday inclusive. We also run at Norfolk Park in Sheffield on at Norfolk park Tuesday evening. At Denby Dale the lessons are 25 mins long and at Stocksbridge and Norfolk park the lessons are 30 mins long. Both venues have lovely warm pools and a maximum ratio of 1 teacher to 4 little swimmers offering attentive, child focused learning and great value for money compared to most swim lesson group sizes of around 10 swimmers per teacher. Our little swimstars are continually assessed by your teacher and you will receive feedback by email every other term on their progress through the STA awards set out below. If your little one has swam elsewhere or has built up their water confidence and free swimming skills at swimbabes we can also welcome them onto the swimstars improvers levels which extend up to basic coaching sessions and prepare them for the move to a bigger pool once they have completed the swimstars programme. For children aged between 18 months and 4 years or nervous beginners up to 5 years old, who lack confidence or have a fear of going in the water, we offer our Swimstars Splashers programme. As with all of our programmes this offers a supportive, safe environment where children will work in small groups of a maximum 1 teacher to 7 pupils. Parents come in the pool with their children for added comfort and support and your teacher will assess your little swimmer and advise you when they are ready to move on to the beginners swimstars sessions. Move through the water confidently in a number of ways. Use a woggle to swim 5 Meters front and back paddle. Push and Glide on Front and Back. Use a woggle to attempt a simultaneous circle arm action and with legs while on back for 2 meters. Travel under a woggle bridge and through a shower created by a watering can. Return to standing from a star float on the back. Use a woggle or float to perform a treading water action with the legs. Exit the pool safely and unassisted. Enter the pool safely with a jump or a step. Swim 2 Meters front and back paddle unaided. Use a woggle to kick across the pool while blowing bubbles. Demonstrate Front Crawl arm action while standing. Demonstrate Back Crawl arm action while standing. Push and Glide on Front with face in the water. Push and Glide on Back with arms by side. Use a woggle, rotate from back float to front float and return to back float. Submerge under the water and retrieve an object. Enter the pool safely with a jump or a step, turn around and swim back to poolside. Push and Glide into either Front Crawl or Breaststroke for 5 Meters. Push and Glide into Backcrawl for 5 meters. Perform a Star float on front or back for 3 Seconds. Perform Dolphin leg kicks on front or back for 2 meters. Scull head first using a woggle. Enter the pool safely, tread water for 5 seconds, swim back to the poolside. Push and Glide and hold a streamline position for 5 seconds. Push and Glide to the bottom of the pool and retrieve an object. Swim 5 meters on front, roll over and swim 5 meters on back. Perform Dolphin leg kicks on front or back for 5 meters. Scull head first for 2 meters. Scull feet first on a woggle for support. Show rhythmical breathing in front crawl for 10 meters using a woggle. Swim a recognisable breaststroke for 5 meters. Perform a back float, tuck to a front float and return to a standing position. Scull head first for 5 meters, and feet first for 3 meters. Push and Glide on back, tuck, rotate to the front and return to the starting point. Swim 10 meters of a recognised front crawl or breast stroke (swimmers choice). Swim 10 meters of back crawl. Swim 5 meters of a recognised front stroke (swimmers 2nd choice). Push and Glide to the bottom of the pool, tuck, place feet on the bottom and spring up. Enter the water, swim 5 meters on the front, swim to the poolside and climb out. Perform 2 different types of entries and treadwater for 15 seconds. Swim Backcrawl for 15 meters. Swim 15 meters of a recognised Frontstroke. Swim 10 meters holding a float under each arm using a life saving backstroke leg kick. Swim 5 meters, dolphin leg kick on front. Swim 5 meters, dolphin leg kick on back. Perform a handstand with both hands on the floor. Perform a star float on the back and hold for 5 seconds, roll onto original back position and hold for 5 seconds. Submerge push and glide on the side and roll to a face down position. Be rescued by a reach aid. Push and Glide into forward somersault. Scull head first for 5 meters and feet first for 5 meters. Swim 15 meters of a recognised front stroke with correct breathing, learners choice. Swim 20 of back crawl. Swim 10 meters on the front, using dolphin legs kicks without aids. Start in a crouch position in the water, spring up before gliding to the bottom of the pool then glide to the surface. Swim 5 meters of lifesaving backstroke without aids.